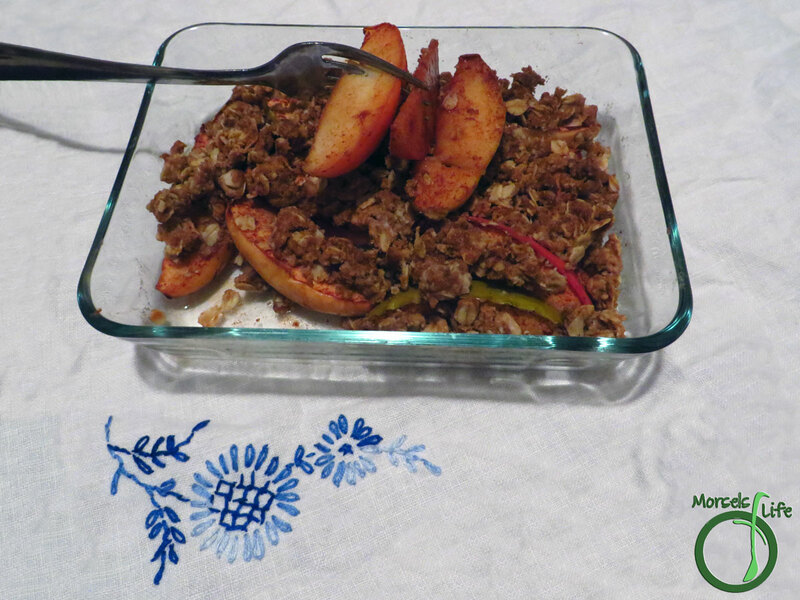 Quick and simple apple crisp with a sweetened oatmeal topping. How do you like to serve your apple crisp? We like hot and fresh out of the oven, sometimes with some ice cream. 511 grams 18 ounces 2 apples, chopped I used a Pink Lady and a Granny Smith. I sliced each apple into 20 slices, but I would recommend actually chopping them up. 2. 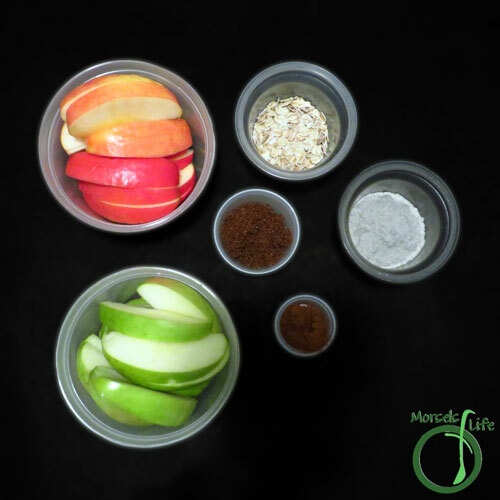 Sprinkle cinnamon over apples and shake to cover all surfaces. I'd recommend chopping the apples instead of using slices as shown. 3. 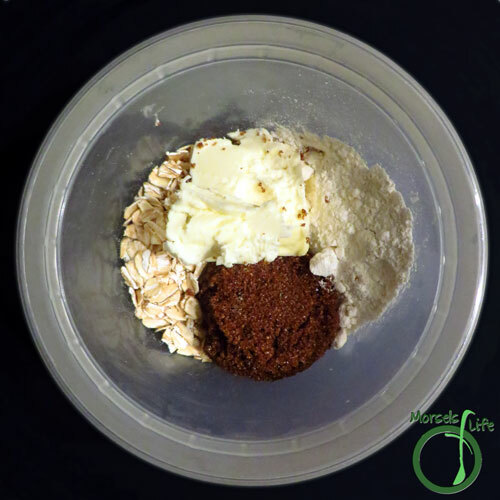 Mash together flour, brown sugar, oatmeal, and butter. I just used a fork. 4. Layer apples and then topping in a baking container. Bake at 350F for approximately 20 minutes or microwave approximately 10 minutes. Sounds delicious, I love a good crisp! Im all about that topping - it looks like something I could eat by the spoonful. 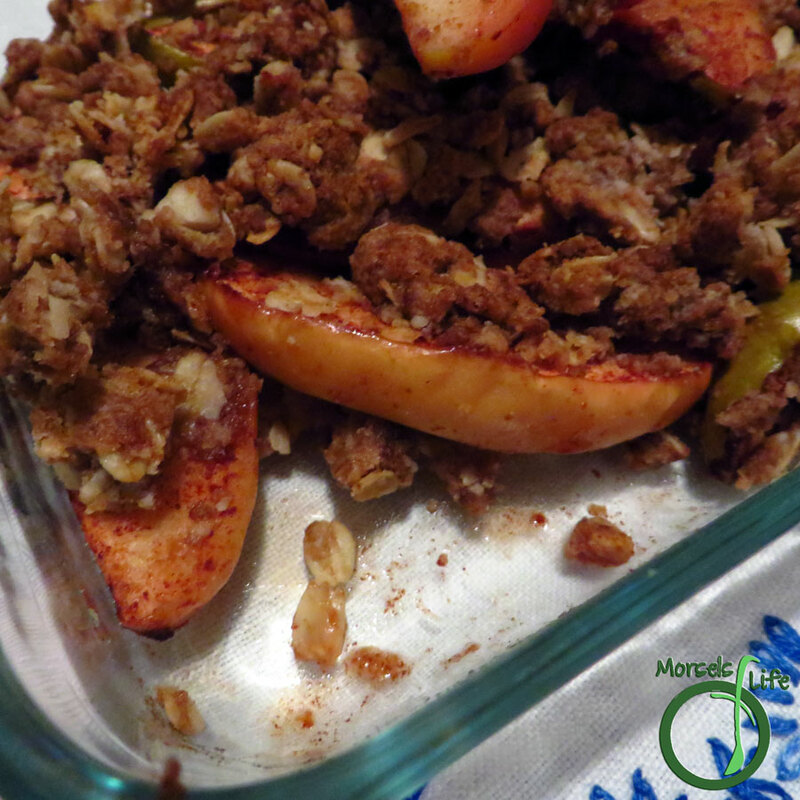 Apple crisp is one of my favorite desserts! I love it with a scoop of vanilla bean ice cream with a drizzle of caramel sauce! Great SRC choice! So glad you like this! The great microwave vs oven debate in my house is always a struggle. My husband just isnt' patient enough to wait for those crunchy bits of crust! This looks delicious and healthy. Would make a great after school snack on a cold day! 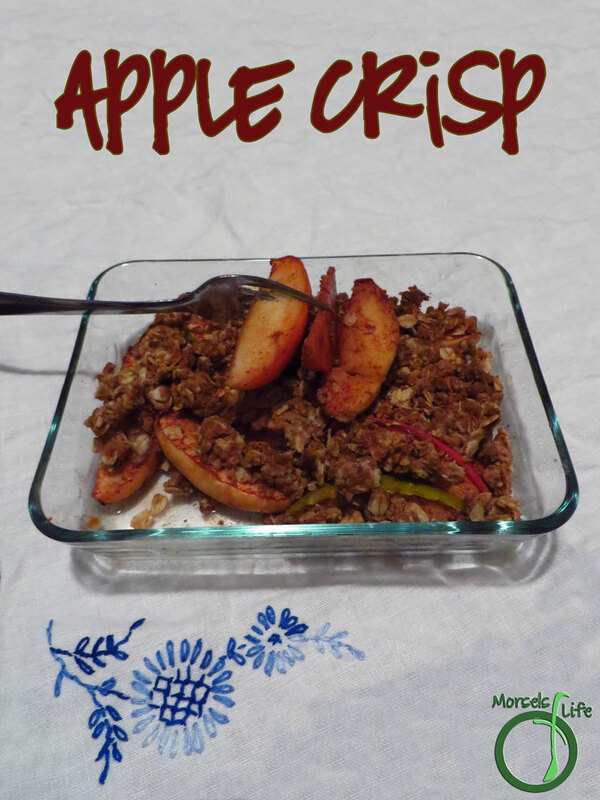 I love apple crisp and yours looks delicious! Great choice! Apple Crisp is one of those recipes that never gets old. ooh - the caramel drizzle sounds delightful! I LOVE your step-by-step photos. And what a great recipe! I will have to see how many apples I have in my fruit bowl tonight. Thanks for sharing with the SRC. I guess you'll just have to leave him to his microwaved version and you get the tasty crispy version! :P I wonder if it would get more crispy in the microwave if you microwaved just the crispy part and then sprinkled it on top. Or maybe just baking the crispy part might make it faster? A perfect dessert, love all things apple. A favorite classic, apple crisp blends tender, appley goodness with the irresistible crunch of a baked topping. SO good! What an easy thing to make. 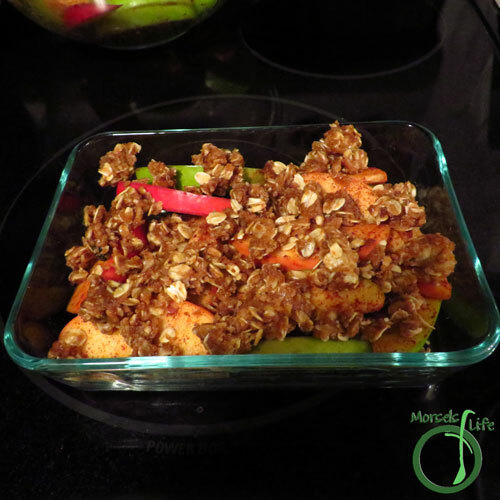 This is one of my favourite ways to use apples in the fall. 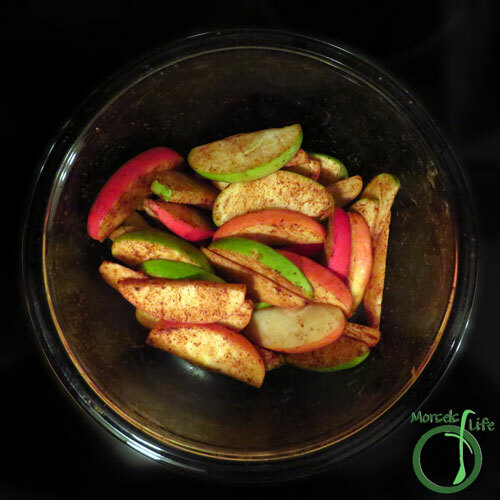 What a yummy recipe, love this especially in the fall but apples are available all year long. Thanks for linking up to Friday frenzy this week Can't wait to see what you bring along again next week. I love apple crisp, so much easier than making a pie for me. I get my yummy apple treat but don't have to worry about pie dough.